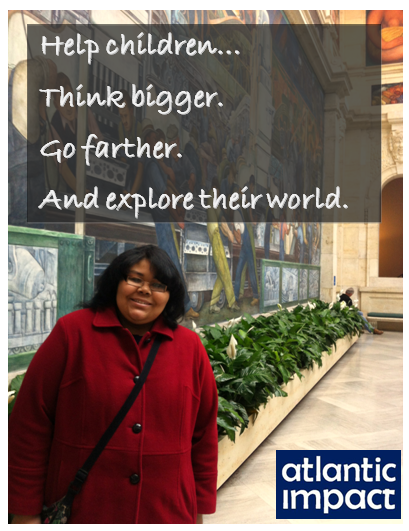 +atlantic impact is a non-profit organization which works with Detroit high school students to give them a sense of history, local culture, and broadens their horizon through international thereby developing students into innovators of change in their community. This is a Crowdrise Fundraiser for +atlantic impact Denby High School #Detroit Students. Share and learn travel tips with Detroit Denby High School Teacher Jonathan Hui and his students Paunai and Jayvon with +atlantic impact member +Samantha Kelley , +BTB Black Travel Bloggers +Adedana Ashebir, +Globe Trotter Nicole Brewer Berlin Resident and Detroit Native, +Rosalind Cummings-Yeates, +Desiree Lowe Barbados Resident who answer their questions about their fears and concerns on traveling to #Barbados .